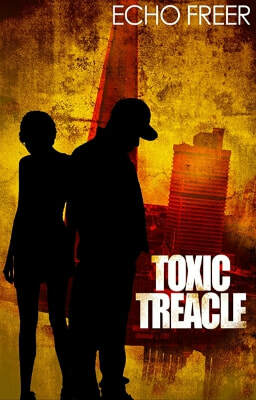 Toxic Treacle is a dystopian thriller for Young Adults. ​ It is set in a society where female nurturers have excluded males from all aspects of child rearing other than breeding and financial maintenance. ​Society is run on the oppressive rules of T.R.E.A.C.L.E. – Training and Resources for Educating Adolescent Children in a Loving Enviroment. ​But it is not what it seems and people are going missing, including Monkey’s best mate, Tragic. Monkey and Angel set out to find Tragic but discover a world of intrigue, murder and toxicity that puts their own lives at risk.